Queen's speech: consultation on British Bill of Rights and "a job for everyone who wants one"
Today’s Queen’s Speech from the first majority Conservative government since John Major was in power proposed a number of new legislative developments that will affect employers. A great deal of emphasis was placed on how the legislative programme was an agenda for “working people”, including promises from the Government to bring in three million new apprenticeships over the next five years. In his introduction to the Queen’s Speech, Prime Minister David Cameron said: “The first task of a ‘One Nation Government’ is to help all working people have security. And nothing is more crucial to that than a job. Chief among the legislative developments is a planned consultation on whether or not to scrap the Human Rights Act (HRA) (introduced under Labour) and replace it with a British Bill of Rights. This was a commitment made in the Conservative manifesto, and will be led by the new Justice Secretary Michael Gove. It is thought that the Government has chosen to push forward with a consultation on the legislation rather than scrapping the HRA immediately, so it can address some of the criticism that has been levelled at the move. If this legislation is passed later in Parliament, this would break the formal link between British courts and the European Court of Human Rights (ECtHR), and decisions made in the ECtHR would not be binding on the UK Supreme Court. Acting Labour leader Harriet Harman has criticised proposals to scrap the HRA, saying that this will threaten “basic rights at work”. The current HRA implements the European Convention on Human Rights, granting employees protection in areas such as: the right to a private and family life; to freedom of thought, conscience and religion; freedom of expression; freedom of assembly; and the right not to be discriminated against. However, some employment lawyers believe a new British Bill of Rights would have a minimal impact on the employment relationship, as an employer is likely to be bound to respect an employee’s human rights in the same way they have under the Convention, and a British Bill of Rights is likely to uphold the same principles. There was also confirmation of the new Trade Unions Bill, which will force unions to secure at least 40% of eligible members’ support for industrial action, and a minimum turnout of 50% in strike ballots. Frances O’Grady, TUC general secretary, said the new legislation “positions the Government against working people”. But Chris Mordue, employment partner at law firm Pinsent Masons, said that trade unions’ reaction to proposed tougher strike laws had been “wide of the mark”. He said: “While the tougher ballot requirements will make it harder to get a mandate for lawful industrial action, it is not an impossible bar to clear. 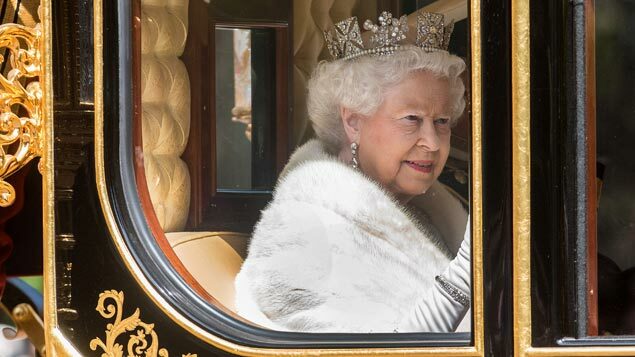 The Queen’s Speech added that there would be a referendum bill rushed through the House of Commons with a view to holding a vote next summer on whether or not Britain should stay in the EU. plans to give working families 30 hours of free childcare per week.